We believe that housing is a right, not a commodity. We’re not accustomed to thinking or talking about housing as a basic right for everybody, but shouldn’t we? Other than food and water, what is more basic a need than shelter? Corporations and wealthy individuals are consolidating more real property as the path to homeownership for ordinary people becomes more and more elusive. In California, there’s a housing shortage of 1.5 million units, and renters account for over half of the market. With greater demand and rising rents, homelessness is also increasing. Below are some existing resources, and then some information on housing cooperatives – a model that we will use in our housing program. Sharing Housing – People need people. We all need human connection. It is as natural to us as breathing—really. Having a home-mate can help you live a life that is more comfortable, connected, and cheaper. It’s healthier. It’s also more sustainable. The benefits of sharing housing are significant. Find resources for making a house-sharing arrangement successful and enjoyable. Redwood Community Action Agency’s property management – RCAA owns rental properties in Eureka, McKinleyville and Fortuna; which include two and three-bedroom units. Their funding association with Home Investment Partnerships Program assists them in providing affordable housing for low to moderate income individuals and families. Housing Humboldt (also known as Humboldt Bay Housing and Development Corporation) is a non-profit organization dedicated to providing and managing quality, safe and affordable housing for lower and moderate-income individuals, families and seniors. Affordable Homeless Housing Alternatives provides information, education, advocacy and policy development for affordable housing with the homeless in Humboldt County. HSU Off-Campus Housing is a great resource for anyone looking to rent in Humboldt County, including meal plans, renters rights and information on renters insurance as well as resources such as meal planning and local public transportation. Chante Catt is the HSU off-campus housing liaison who also advocates for homeless students in our area. “How to Start a Housing Co-op” on Shareable breaks down the different types of co-ops that are active, and provides some examples of each type of Housing Co-op. Rental or leasehold coops are democratically run organizations of tenants that equitably share costs of renting or leasing a building owned by someone else such as a non-profit organization that includes tenants on its decision-making committees. The tenants share the management responsibility. Nonprofits can buy a building and rent it out to lower income folks, or city or county governments can donate land or vacant buildings to the non-profit for low-income housing opportunities. This is currently the model that we feel is most reachable for us at this time and we will spend most of our energy working on this. An example of this model is the Solar Community Housing Association in Davis, CA. Their mission is very similar to ours, and we hope to partner with them and learn in our early planning stages what was successful and what were their challenges along the way. Another example worth mentioning is the Berkeley Student Cooperative, whose mission is to provide a quality, low-cost, cooperative housing community to university students, thereby providing an educational opportunity for students who might not otherwise be able to afford a university education. Presently the BSC has over 1,300 student members living in or eating at seventeen houses and three apartment cooperatives around the UC Berkeley campus. Each house is democratically run, and everyone contributes labor to help keep housing costs affordable. Founded in 1933, the BSC is the largest student housing cooperative in the United States. The San Francisco Community Land Trust (SFCLT) is a great example of this type of cooperative housing. We may consider this type of housing model in the future. 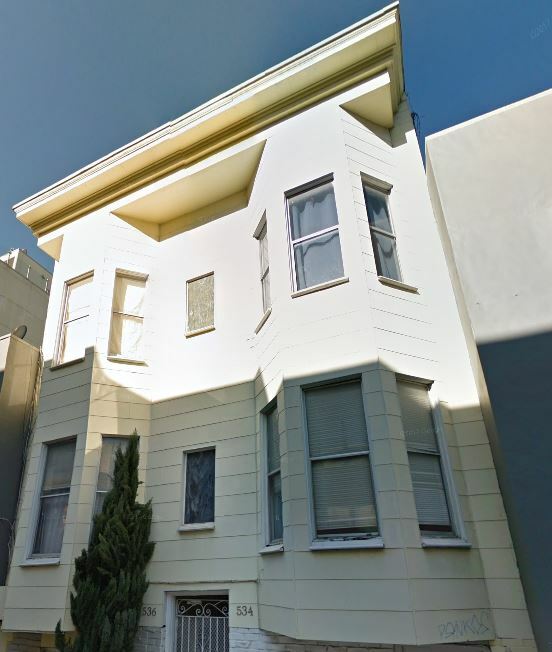 SFCLT purchased 568-570 Natoma in April 2016 with the help of Community Partners (including SOMCAN and Supervisor Jane Kim) and funding from the City’s Small Sites Program and Boston Private, preventing the displacement of multiple generations of SOMA residents.